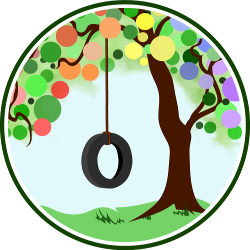 I am a co-organizer at Mindful Nurturing, and we have put together an incredible new e-bundle that will inspire your whole family to become more playful and creative: the Mindful Play eBundle. There’s a little something for everyone, geared to kids from ages 1 up to 12: coloring pages, a yoga storybook, fall-themed science experiments and literary projects, mandala drawing tutorials, treasure baskets and sensory bins, modeling play, and much more. The bundle contains 9 play-oriented e-resources, plus phenomenal bonuses. It’s for sale only through October 3. After that, you’ll never see this particular collection together again at this price. Sensory bins are a simple and inexpensive learning tool that can benefit all children. Whether you are interested in incorporating sensory bins into your home, classroom, or homeschool, this guide will provide you the necessary knowledge and ideas to get started. It includes idea lists, storage and money saving tips, information on using sensory bins with Sensory Processing Disorder, and helpful recipes. Alphabet Glue is a downloadable e-magazine for families who love books. Filled with activities, printables, projects, and plenty of inspiration, Alphabet Glue was created in hopes of helping more families incorporate creativity, imagination and all things literary into their everyday routines. Each issue contains leveled book recommendations organized by theme, bookmaking tutorials, story-building activities, and hands-on projects that complement favorite titles in children’s literature. From stories to science experiments, Alphabet Glue has a little something for everyone. This bundle includes two fall-themed issues: Volume 9 and Volume 14 — Fold functional paper periscopes for amateur espionage and make simple plant presses. Sail a fleet of tiny sailboats and learn a bit about surface tension in the process. Reflect on the shape of rain drops, and create a bit of refrigerator-ready art while you’re at it. Make bouncy balls out of laundry room staples and handy office supplies, and spend a bit of time thinking about how fossils are formed before trying your hand at making your own. All this and more in two fun- and story-filled volumes! Learn to draw mandala doodles. With something round to trace, pens, and an eye for discovering the patterns around you, you can draw round mandala doodles and non-circular doodle designs. Mudworks offers a delightful range of over 100 hands-on creative modeling mixtures and recipes for children to explore and experience. Kids like to call it the goosh and moosh book! All projects use common household materials and require no expertise. Ideal for fun or serious art for all ages, at home, school, or childcare. A classic! 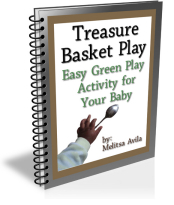 Treasure Basket Play shows you step by step how to effectively and safely set up and use a treasure basket in your home today that will engage and challenge your baby each time the basket is used. Treasure basket play is suitable for sitting babies to approximately 12 months. Born out of 6 months of travel with the author’s own 4 children, How to Fool Your Kids Into Having Fun So You Can is an ebook packed with over 100 games for travelling without gadgets. These are not just your standard car or plane games, but also ones to keep them amused in restaurants, hotel lobbies, boats, and all kinds of places you might find yourself. Some will educate them along the way; most are just outright fun. And it doesn’t have to be in some far-flung continent — they are just as useful even at your local deli. You could give your kids an electronic game — but this way you can give them some good old-fashioned fun interacting with people and the environment around them. Bring your sense of humour, and dive in. Animal ABCs is a fun way to take your toddler or preschooler through the alphabet while learning about animals along the way. Each letter features one animal that emphasizes the sound of the letter. Animal ABCs was created for children approximately ages 2-4 years. The bundle includes: Full-size display letters, full-size blank letters and animals to cut for craft, package of printable extras for each letter, all flashcards, all extra additions (Dot Fun, Play Dough Mats, Wall Posters, & Lowercase Letters). Once you purchase, you have access to a private page and you can come back and download anything new that’s added! This is a 15-page coloring book PDF with natural-parenting line drawings by Joni Rae Latham. The drawings depict different families having fun in the summer with scenes including cosleeping, breastfeeding, tandem breastfeeding, and babywearing. Join Sophia’s jungle adventure! Fly like a toucan, slither like a snake, and flutter like a butterfly as you act out this journey through a Costa Rican jungle. What else might you see? Follow along with Sophia’s story and her yoga moves. The storybook includes a List of Kids Yoga Poses and a Parent-Teacher Guide. These coloring pages are a playful example of how Hugo combines his attached parenting style with his passion. Inspire your family to grow closer together as you foster your creativity and playfulness! Read more about the resources here, and then get your bundle today for only $14.95, at 80% off a retail value of $74. It’s available only until October 3, so hurry! We are so grateful for your support. Buying the bundle through our links supports this site! Lauren Wayne is a co-founder of Natural Parents Network. She works and writes at home with her husband, Crackerdog Sam, and their sons, Mikko and Alrik. Lauren blogs about natural and attachment parenting at Hobo Mama, offers reviews and giveaways of natural parenting products at Hobo Mama Reviews, and gives a behind-the scenes look at blogging and writing at LaurenWayne.com. Lauren co-hosts the monthly Carnival of Natural Parenting and is the author of Poetry of a Hobo Mama: The First Three Years, The Natural Parent's Guide to Babywearing, and What Will We Learn Today? You can find Lauren on Twitter, Facebook, her Google+ profile, her Google+ page, and Pinterest.